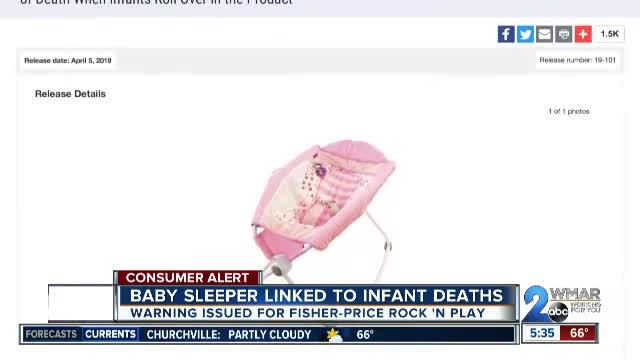 The American Academy of Pediatrics is calling on the U.S. Consumer Product Safety Commission to immediately recall the Fisher-Price Rock 'n Play after it has been tied to at least 32 sleep-related infant deaths. AAP says the previous warning did not go far enough to ensure safety and protect infants. That warning asked parents to stop using the product when the infant reaches 3 months of age or is capable of rolling over. The cause of death listed for some of the babies was asphyxia, or the inability to breathe caused by the babies’ position. AAP is urging parents of children of all ages to stop using the product immediately. They say stores should remove the rocker from their shelves.